6. Frugal people save pennies throughout every single day. All of these ring home for me as they accurately describe the way my family does things at home, and it inspired me to start looking at my own life for habits and routines that subtly define our lives and make sure that spending less and wasting less comes naturally to us. Here are 10 more habits I’ve found in our lives. 1. Frugal people think ahead when it comes to food. What do you do when you get off of work and you’re hungry? Do you have something in place at home that you can prepare for a simple low-cost dinner? Or does your mind wander through a plethora of restaurant and take-out options? When you’re hungry on a weekend, do you have several clear meals in place that you can prepare? Or do you dig through the cupboards, finding little, and then eventually find yourself either preparing something unfulfilling or simply calling for delivery? As a general rule, frugal people tend to plan ahead for meals. They take the steps necessary to ensure that they have something low-cost and prepared at home for most meals and take extra steps to make it more convenient when time is tight. I’ll use myself as an example. I can tell you what I’m going to have for lunch today, dinner this evening, breakfast tomorrow, lunch after that, and dinner after that without skipping a beat. If I check our meal plan, I can tell you about the next few days after that, too. That doesn’t mean there’s no room for spontaneity in there – if something changes, I can certainly freeze a meal or put it off for a day – but it does mean that I’m not going to find myself at 5 p.m. wondering what I’ll have for supper, because that means I’m probably going to wind up getting delivery or take-out food, which is expensive. There are a lot of elements to this. One big part of this is meal planning. Whether done formally with an actual meal plan written out somewhere (we do this on a white board hanging in our entryway) or more informally with just a bunch of meal options available is up to you, but in either case you have meal ideas ready to go. Another part is grocery planning, where you go to the grocery store with a list based at least in part on this meal plan. 2. Frugal people buy household supplies in bulk. It’s far cheaper to buy nonperishable goods in bulk. If you buy a jumbo container of hand soap, for example, it’s going to be far less expensive than buying the same amount of hand soap in a bunch of small containers. Even more than that, it’s going to take more time to keep buying hand soap over and over. That same phenomenon holds true regardless of what nonperishable goods you’re talking about. Toilet paper. Trash bags. Deodorant. Bath soap. Shampoo. Toothpaste. Dental floss. The list goes on and on and on. It is just far cheaper to shop around a little, buy those items in bulk when you need them, and maybe refill when you see that item on sale than it is to keep adding a small item to your grocery list each time you run low. It saves time, too. Another advantage: When I buy in bulk, if I notice I’ve run out of toothpaste (for example), I can just turn around and pull another tube right out of the closet, only noting that I need to buy more if I’m pulling the last tube out of the closet. If I’m buying these kinds of things one tube at a time (or one small package of trash bags at a time and so on), it’s far easier to run completely out when you least expect it, leaving you without the item you need at a very inconvenient moment. It saves money, saves time, and reduces inconvenience. That’s a triple win. 3. Frugal people use community resources frequently. Almost every community has a ton of free or low-cost resources that people can utilize if they pay attention and are aware of them. Take, for example, the town we live in. There’s a great library that offers thousands of books, interlibrary loan for more books, DVD rentals, study rooms, and other features, including meeting space for community groups. There are several parks, some featuring hiking and bicycling trails. There are also several separate bicycling trails beyond the parks. The town offers several free community events throughout the year, usually culminating in a community festival in August that’s free to attend. The town has a food and clothing pantry for those in need of those items, too. There are several community groups in town, many of which host different community events throughout the year. There are at least two free community dinners a week. That’s just the stuff going on in my small town. If I go to the nearest large city – Des Moines – there’s basically an overload on free things to do in the community and free resources to utilize if I want to use them. The trick is that you have to really look for these things. They’re generally not pushed in your face all the time via advertisement, as businesses usually are. You have to take the initiative by visiting your community website and your local library’s website and reading local publications. 4. Frugal people often shop for used items before buying new ones. Whenever I’m in the market for an item, I usually start shopping at secondhand stores for that item. This is true for everything from clothing to kitchen items and from picture frames to mixing bowls. I’ll check the local Goodwill store. I’ll check a local consignment shop. I’ll also definitely check Craigslist and Freecycle. Sometimes, I’ll find just what I need and pay about 10% or 20% of what I would have paid new. Sometimes, I’ll find a reasonable substitute for what I intended to buy and save a ton, too. If I don’t? I’m not out anything. I’ll just go buy a new version of the item (assuming, of course, that I need it right away; if not, I’ll just wait). By starting with used options, I open the door to the possibility of a big discount. If I never bother with the used options first, I completely miss out on that possibility. There’s another benefit, too: If you pick up a used item and use that instead of picking up a new item, you’re keeping materials out of a landfill thanks to the simple practice of reusing things that aren’t broken. 5. Frugal people think long-term when it comes to their overall finances. This is one of the biggest differences I see between frugal and non-frugal people. Frugal people behave in a way that demonstrates concern over whether or not they’ll have enough money in 10 or 20 years. Non-frugal people behave in a way that just demonstrates concern over whether or not they’ll have enough money in 10 or 20 days. A paycheck-to-paycheck lifestyle really disregards any sort of long-term perspective on one’s finances. The focus in a paycheck-to-paycheck lifestyle is simply making it to the next payday without any long-term regard for conserving money in any significant way. A frugal lifestyle is very much focused on the long term. This doesn’t just come through in day-to-day lifestyle choices, but also in broader financial decisions. Many frugal people are free from all debt and have substantial savings. In their day-to-day lives, they subscribe to the idea of spending less than they earn, and they stick with that maxim month after month and year after year. That type of mindset is all about the long-term focus. There comes a point in the lives of many frugal people where they’re really not worried at all about their long-term finances, but that doesn’t mean that they start spending, either. Their lifestyle meets their needs and wants, so why change it? 6. Frugal people tend to seek out friends who are also frugal and form a tight social network with them. People tend to seek out friends who match their values. It’s often said that people are the average of their five closest friends, and I find that to be true time and time again. That’s why people who make frugal lifestyle choices often have close friends that are also frugal. When your close friends are frugal, it’s easy to share frugal tactics and learn new ones. It’s easy to see people in your life who are making cost-effective choices in every aspect of their lives, and those choices become an example for you. It all becomes self-reinforcing. When your close friends are big spenders, the opposite happens. The people in your life spend money freely and don’t make choices that lead to long-term financial stability. They aren’t careful with their money on a day-to-day basis. Those choices become an example for you, and it becomes self-reinforcing. While it’s not impossible for a person who spends freely and a frugal person to be close friends, there is a big value difference going on there, which can make it harder to have a deep and close friendship. How does a frugal person seek out new friends with similar values? We find most of ours through being involved in community organizations and projects. Those types of activities tend to attract a wide mix of people, many of whom are quite frugal. 7. Frugal people put great value in renewing themselves through action, not through purchases. All of us feel burnt out sometimes. Work is stressful. Personal relationships are stressful. Society itself can be stressful. Those stresses can really add up and eventually we need an outlet for those stresses. We’re all familiar with the concept of “retail therapy.” That’s where people respond to this kind of stress in their life by shopping. The pleasure of buying something new becomes a way to placate that stress, at least in the short term. However, retail therapy often introduces a different form of long-term stress. When you spend in that way, you’re not always making the best spending choices, and that can lead to debt and not having enough money to go around. A frugal person tends to deal with stress differently. They find free things to do that deflate their stress. For example, my favorite stress reliever is to do some vigorous exercise (like going for a jog or playing soccer in the backyard with my son or doing some resistance yoga, all of which I can do at home for free) or, if I’m worn out, to get lost in a novel. Once upon a time, I used to go to stores and buy things to relieve stress. In the short term, it helped a lot. In the long term? It made most of the things I was really stressed out about worse than before. 8. Frugal people try lots of different activities as long as they’re not pricy. Yes, this is something that non-frugal people do as well, but there’s a key difference, which I’ll get to in a minute. On a given weekend, my family and I almost always fills the days with a variety of activities, some old and some new. Most of the “old” activities are familiar things that we enjoy doing. The new things, however, come from a wide variety of sources: public radio, local newspapers, websites, and so on. 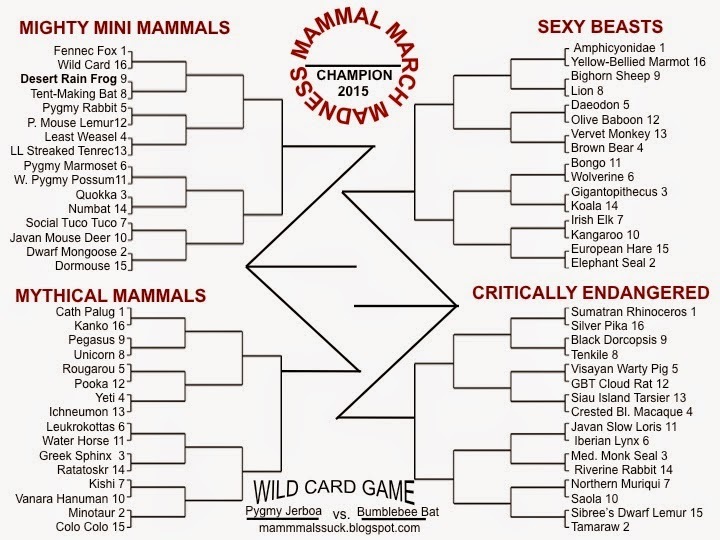 I’ll give you an example: This past weekend, we spent almost two hours filling out “Mammal March Madness” brackets. We looked up every animal in the bracket, determined individually which animal would win every matchup, and slowly covered our individual brackets with numbers. Since then, we’ve been following the results as they’ve been posted. On another recent weekend, the only nice one of the summer, we went to a nearby park and played a modified version of Ultimate Frisbee that worked well for four people. The point is that we try all kinds of things, whether they sound incredibly “cool” or not. If it’s something that doesn’t cost much and we’ve never tried it (and it’s not something harmful or something like that), we’ll probably give it a shot. I like to compare that to our previous processes of doing things, before our frugal turnaround. Back then, before we had kids, Sarah and I would often list tons of potential ideas for things to do on a given weekend and discard 99% of them. The thing we’d wind up doing would inevitably be something that required some sort of expense. We’d choose to go to a show down in Des Moines, which basically also required us to eat out, too. We’d go to a wine bar. We’d go golfing. All of those things, while fun, are also expensive. The problem was that we threw out tons of worthwhile activities – many of them free – while picking the few things that we did do. Why did we throw them out? Often, we hadn’t ever tried those things; we’d just decided, for some unknown reason, that they weren’t worth trying. That resistance to activities has melted as we’ve become more frugal. Sure, sometimes we’ll do things and it won’t be a whole lot of fun, but at least then we know and we can actually use that as a real basis for future decisions. However, we often find that unexpected things are a lot of fun. Like Mammal March Madness, for instance. 9. Frugal people look for mutually beneficial options. Frugal people put a lot of value in solutions to problems that manage to “kill two birds with one stone.” Synergy is a great thing. I live in a tiny town in central Iowa, which means that for some needs, I have to go to Des Moines. Rather than just going down there every time something comes to mind, I wait patiently and make only one trip that takes care of several things at once. Another example: our family makes at least some purchases based on how reusable the container is. For example, many plastic coffee canisters work really well for a variety of things, such as cupboard storage. When I’m buying an item for the kitchen, I look for tools that can multitask and do a lot of things. Even though there might be a device out there that does an amazing job when it comes to peeling peaches, I don’t need a devoted peach peeler. I can take care of that with a knife and a Pyrex cup, for example, so I’d rather have those items. Those items multitask, saving me from having to buy another item. This kind of list goes on and on, but you get the idea. If a frugal person is going to spend money on something, they seek every way possible to extract value from that spending. Whether it’s spending less gas money because of a multi-tasked trip or buying kitchen items that handle lots of tasks in a straightforward manner, it’s all about finding ways to synergize our dollars. 10. Frugal people value reliability as a primary virtue. This goes back to the idea of frugal people thinking long term. One of the greatest virtues for a frugal person is that something will reliably work for a long period of time. An enameled cast iron pot, for example, might cost twice as much as a normal pot, but it’s going to last basically for the rest of one’s life. The cheap one might wind up getting bent or having the coating peel off, but the cast iron will keep going and going and going. It’s a frugal purchase. You might be able to get a kitchen knife at the dollar store, but the blade will be useless in just a few years as it’s susceptible to nicks and the metal doesn’t hold an edge. A slightly more expensive knife, like a Victorinox chef’s knife, will last for many many years with just honing and still cut like a champ. It’s a frugal purchase. How does a frugal person find these things? They tend to research their purchases and find out what’s actually good and bad about the things that they buy, and one of the big factors is the reliability of the item. A reliable item is worth a premium. These routines and habits come normally to Sarah and myself. Ten years ago, they did not. Did we learn these habits? Not really. They just gradually sprung into existence over time as a result of our commitment to maximize our dollars and spend less than we earned. For people who are frugal in their day-to-day lives, many of these habits and routines will seem completely natural and normal. For people who are not, they provide a great window into how a frugal person sees the world. If you take one lesson away from this article, it’s this: a full commitment to the “spend less than you earn” mindset significantly alters how you see the world.